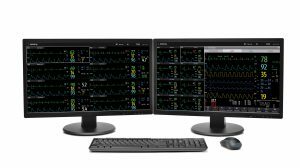 The BeneVision Distributed Monitoring System (DMS) is an innovative and scalable solution that redefines the meaning of flexibility in patient monitoring. BeneVision DMS is built on a simple philosophy – to provide clinically-focused solutions that support high-quality, patient-centric care. It extends far beyond the traditional centralized monitoring model; choosing any combination of point of care and remote BeneVision DMS WorkStations, in combination with BeneVision CMS Viewer and the BeneVision CMS Mobile app, hospitals can now determine how and where they view and manage patient data for optimized clinical workflow. Through scalability, seamless data and accessibility, BeneVision DMS helps clinicians overcome daily challenges and achieve the critical goal of delivering quality care everywhere. 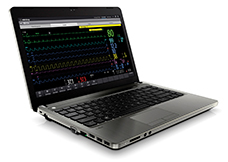 Powerful and scalable, the BeneVision DMS can collect and distribute patient information across the care continuum. Using the BeneVision CMS Mobile App on your IOS or Android-based smartphone, along with a hospital-installed Mobile Server, authorized users are able to view real-time patient data from any location. With the BeneVision CMS Viewer, clinicians can remotely access patient data from a PC or tablet, supporting assessment and decision-making from any location.